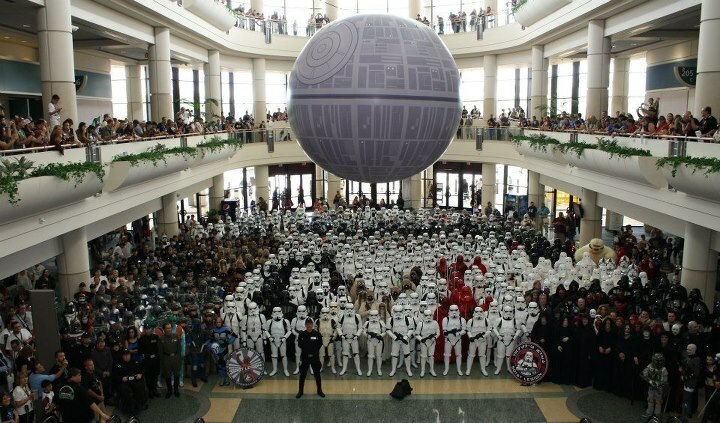 Star Wars Celebration VI in late August was the biggest party in the galaxy. From celebrities to parties, there was something for everyone. The 501st Legion had a very strong presence. Known for professional grade costumes and charity work, the 501st Legion was a big part of the convention, with troopers coming from all over the world to showcase their costumes, props and sets. 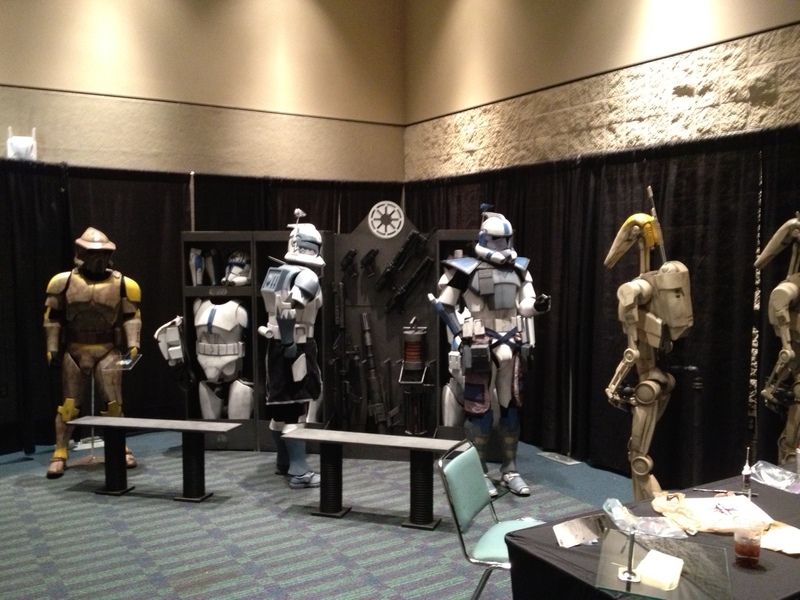 The 501st Legion room was a must see at Celebration VI. With costumes, props and sets on loan by some of the best builders in the legion, you could easily spend a few hours looking at everything. To make it all happen it took months of planning and personal spending for the troopers involved. We had a nice selection of sets that guests could take pictures with including the clone trooper locker room, Han in Carbonite, the 501st Legion moniker and the trash compactor set (a giant foam ball pit for adults). Members volunteered to talk to guests about the various displays and answered questions on how they too could be a member of the 501st Legion. Roxy the Rancor made her debut at CVI. The child 700lb, 9ft wide baby of Matt Paisley and Rick Bohler, she was the hit of the convention floor. The first of her kind, Roxy was sculpted from almost 2,000 cubic feet of expanded polystyrene foam. 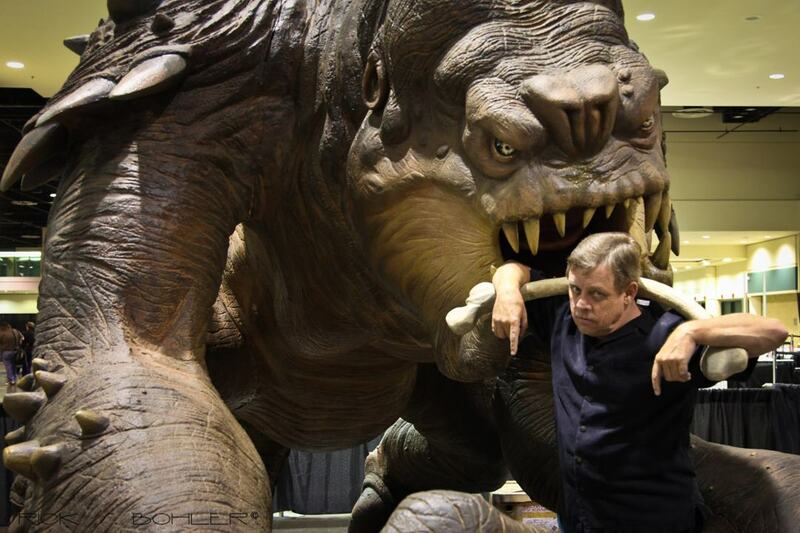 Guests stood in line for the chance to take their picture with the only to scale Rancor in the world. Even George Lucas stopped by on Saturday to say hi. Of all the pics taken during CVI, my favorite is definitely Mark Hamill. I think he still has some ill feelings towards the rancors. Checking her out up close, I can’t believe she breaks down into six separate pieces. If you missed seeing her at CVI, don’t worry. Roxy will be appearing at other events world wide. Like her page on Facebook to keep track of her journeys. The family banquet was a special dinner that was only for the 501st Legion members and their families. Throughout the night we had special video feeds from Star Wars celebrities thanking us for our service to the empire as well as charities worldwide. Some of the celebrities who took time out to speak via feed include Weird Al Yankovic, General Grievous (my personal favorite) and George Lucas. No family dinner would be complete without cake and we had the largest Star Wars cake ever made. A very special six-foot and seven-inches tall Darth Vader cake made by Oak Leaf Cakes and donated to the membership by DK Publishing, was one of the highlights of the evening. Weighing in at 57 pounds, this was just one of the many surprises we were given that evening. The biggest surprise of the night, came in the form of a special appearance by the man who can honestly call himself our boss, the emperor himself, Ian McDiarmid. His appearance was met by a standing ovation by the membership and is one of the highlights of Celebration VI for many. The family banquet and imperial bash took around 50 – 60 volunteers, who helped set up and break down in all hours of the day and night. Due to time constraints with the hotel, and tight scheduling of the room, we only had a few hours to set up the entire family banquet and even less time to break down the imperial bash. 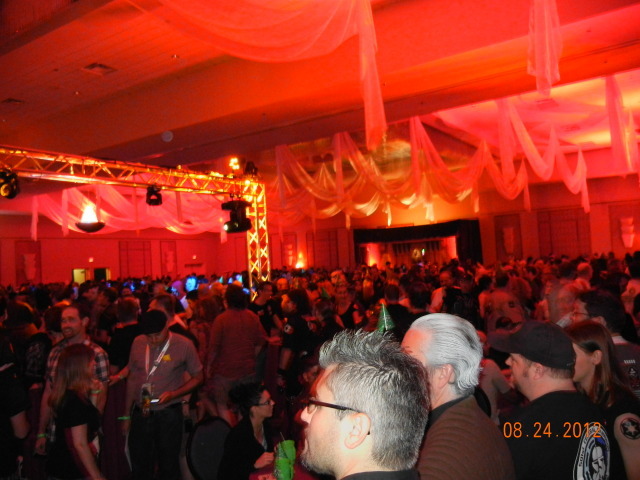 The Imperial Bash was also quite the party. We had a wide range of troopers and celebrities, including R2D2, C3P0, Mark Hamill, Seth Green, Dave Filoni, Anthony Daniels, and more. 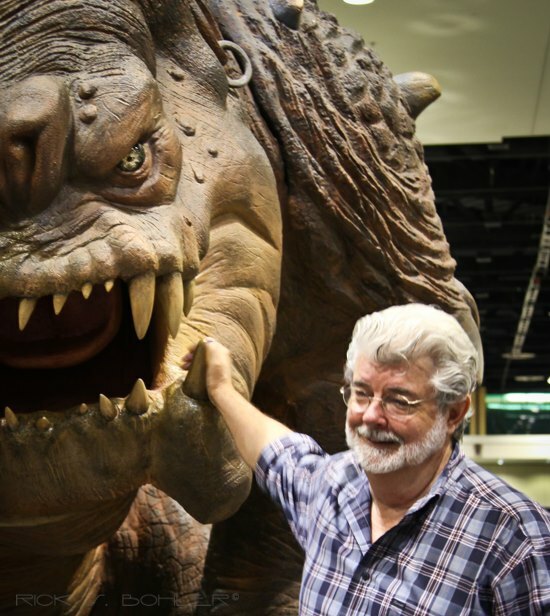 Some were there to party, while others, performed on the stage with Jabba the Hutt. The world famous, Wolf Brothers were on hand to help with makeup and were on the stage performing for the opening of the bash. Jabba the Hutt was the center piece of the evening thanks to the 501st Legion volunteers who put him together, as well as Stoopid Monkey for paying for his trip down to CVI. Worked by several puppeteers who volunteered in shifts to make him come to life, Jabba was the biggest party decoration there. 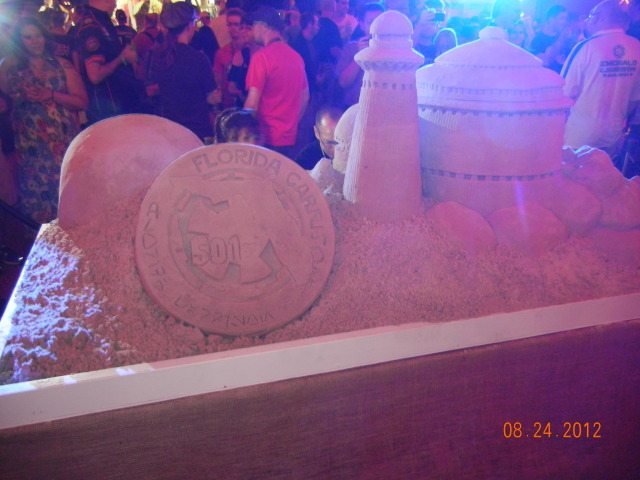 With décor ranging from Roxy’s head on the wall, to a sand sculpture of Jabba’s Palace, to the best looking Han in Carbonite set in the legion, this party was a huge hit with legion members, Star Wars fans and celebrities alike. 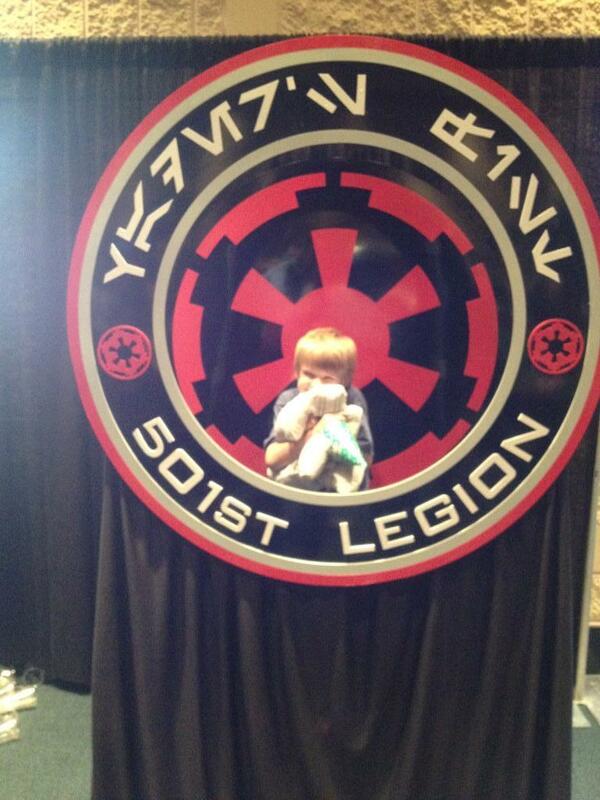 As always, the 501st Legion brought everything we had to Celebration VI. No one will truly know the physical, emotional or financial stress that some members went through to help make it all happen. I’d like to take a moment now to thank everyone that volunteered with the 501st Legion room, Family Banquet and Imperial Bash as well as those who did not suit up so that they could help those that were (a.k.a our handlers). Without the volunteers who devoted months of preparation and hours of assembly and break down, The 501st Legion would not have accomplished all that it did for Celebration VI. I would also like to thank our many sponsors for their contributions to our success. 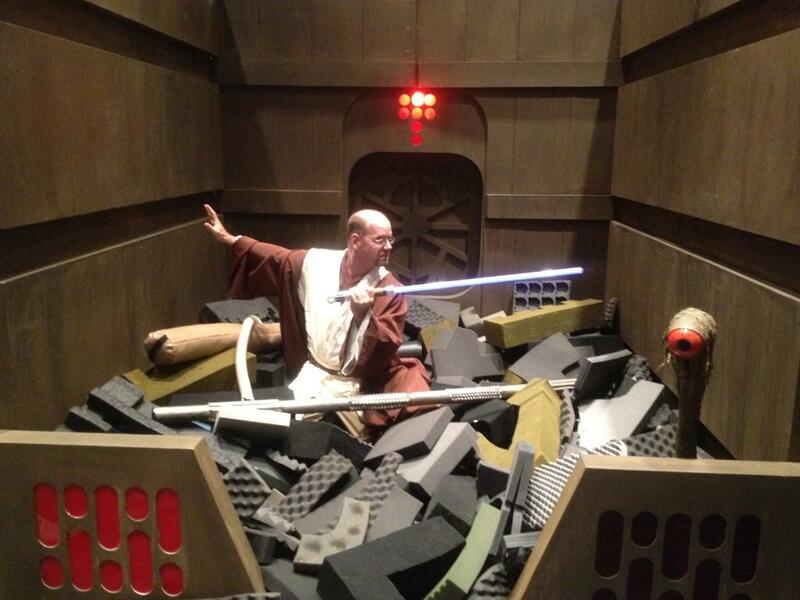 May the force be with you all and see you at Celebration VII.